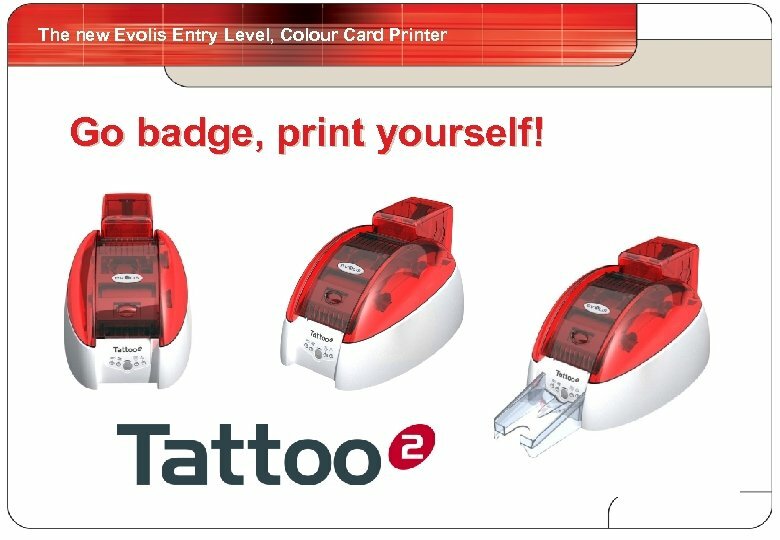 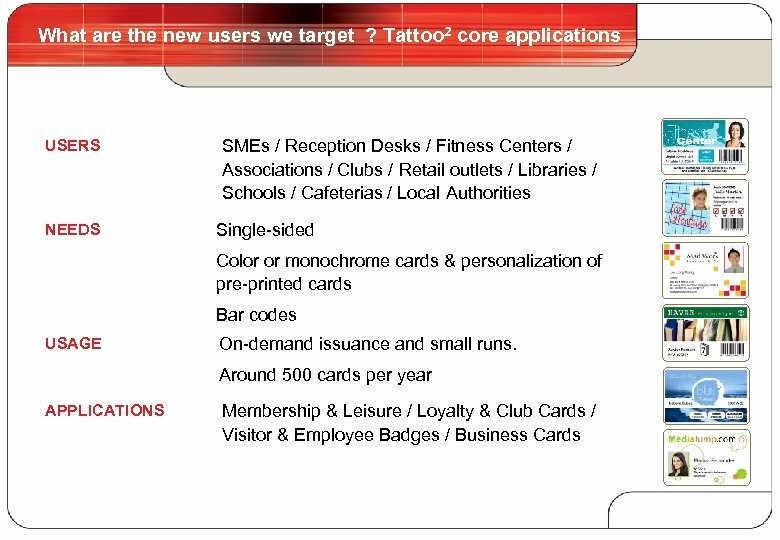 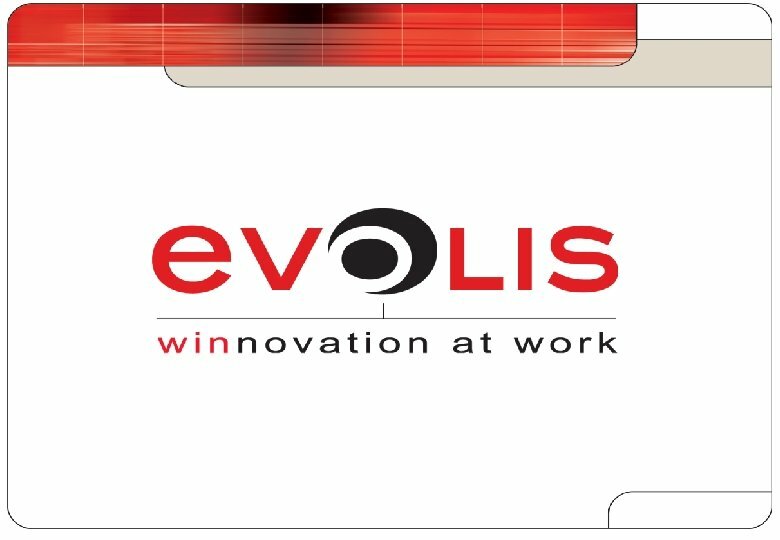 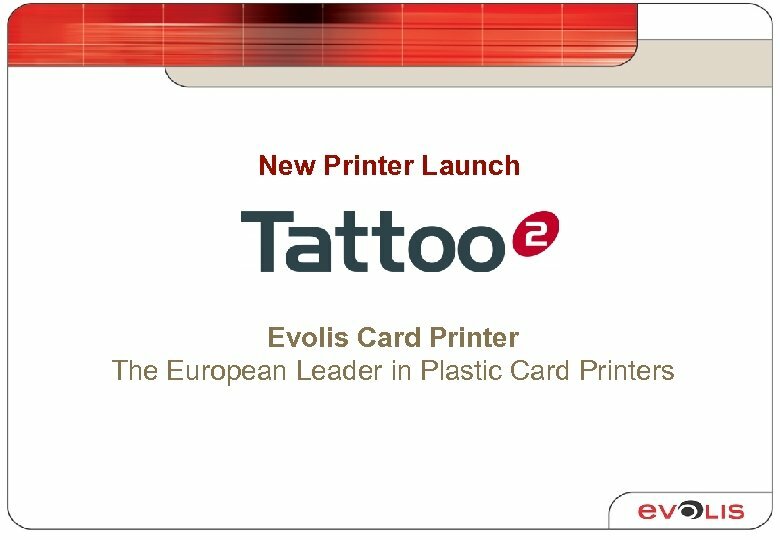 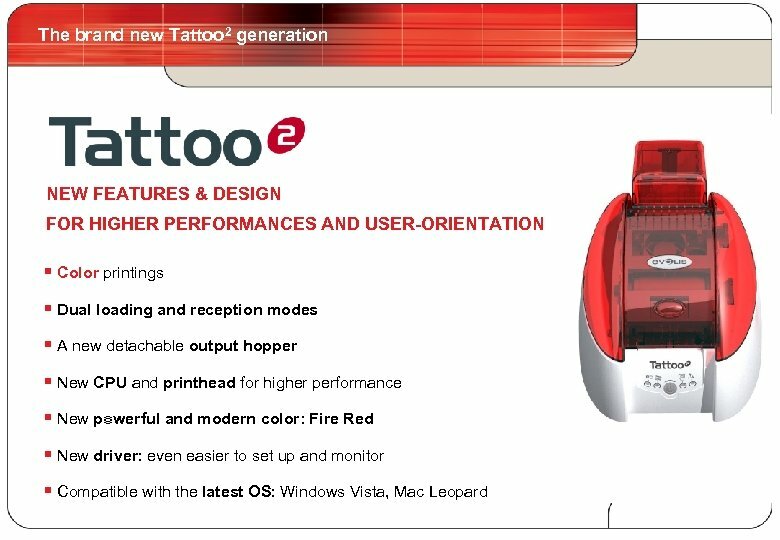 The new Evolis Entry Level, Colour Card Printer 4 Go badge, print yourself! 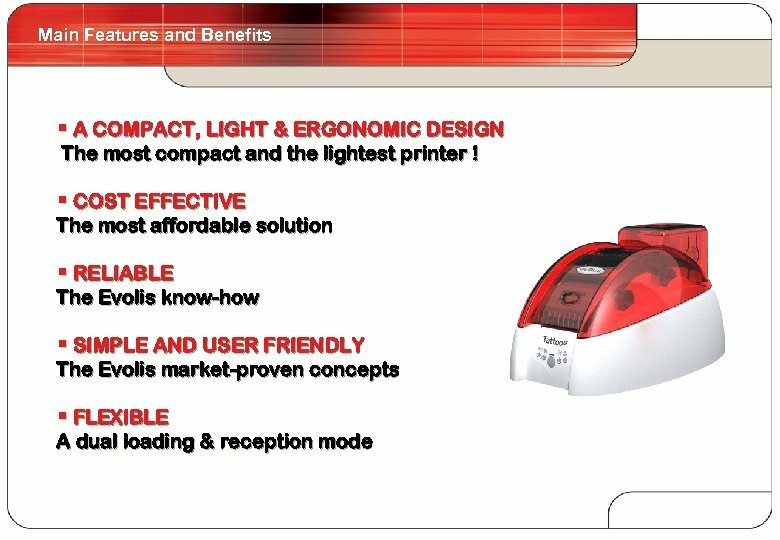 Main Features And Benefits 10 § FLEXIBLE § Both loading and reception can be customized between an automatic process or a manual input/output process. 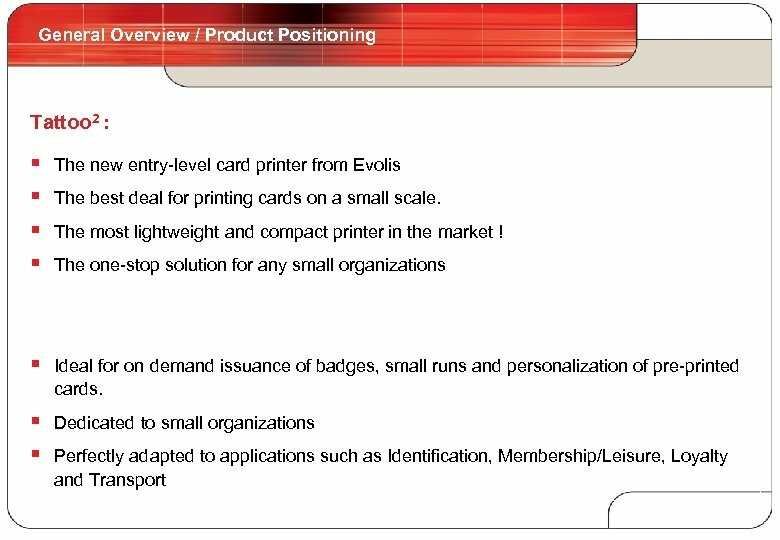 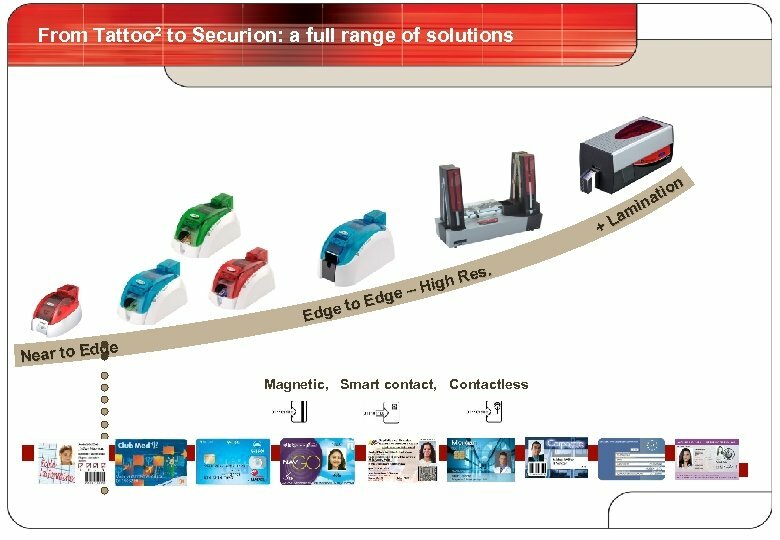 Ideal for single card printing and over-the-counter applications or small batches. 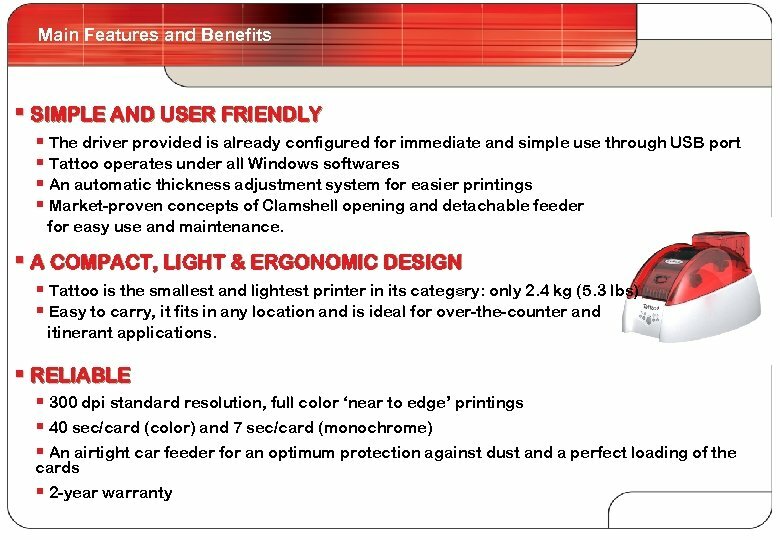 § A new detachable output hopper is provided and can get up to 15 cards. 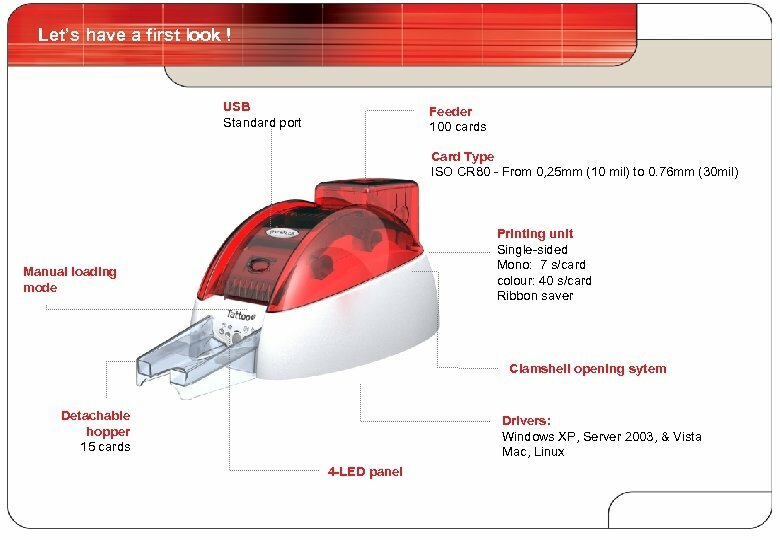 § The card feeder is also available as an accessory. 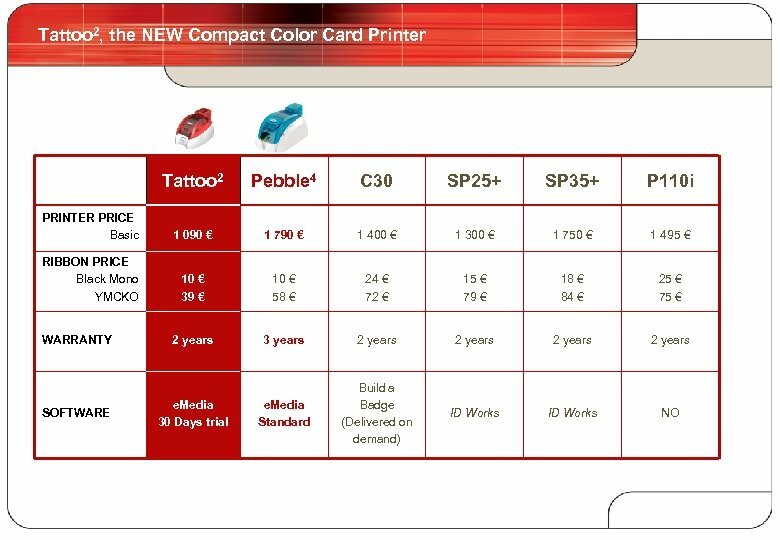 § COST EFFECTIVE § The single-sided color card printer the most affordable in the market. 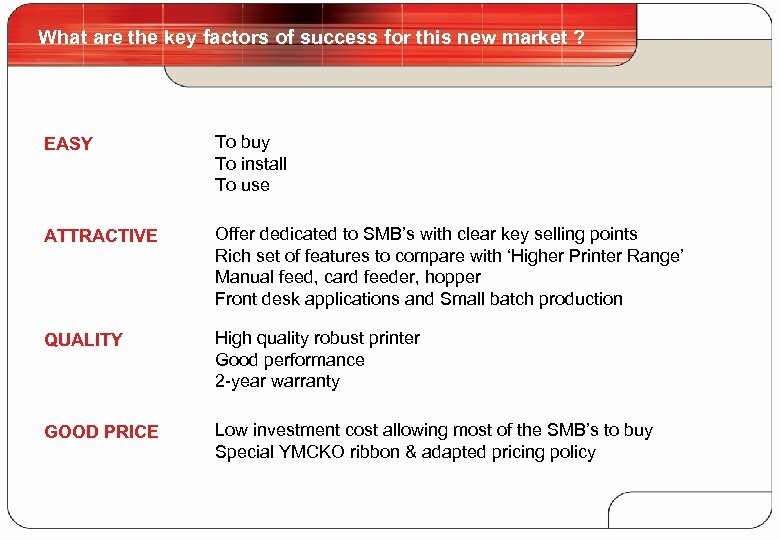 § A low initial investment and a very competitive ribbon offer. 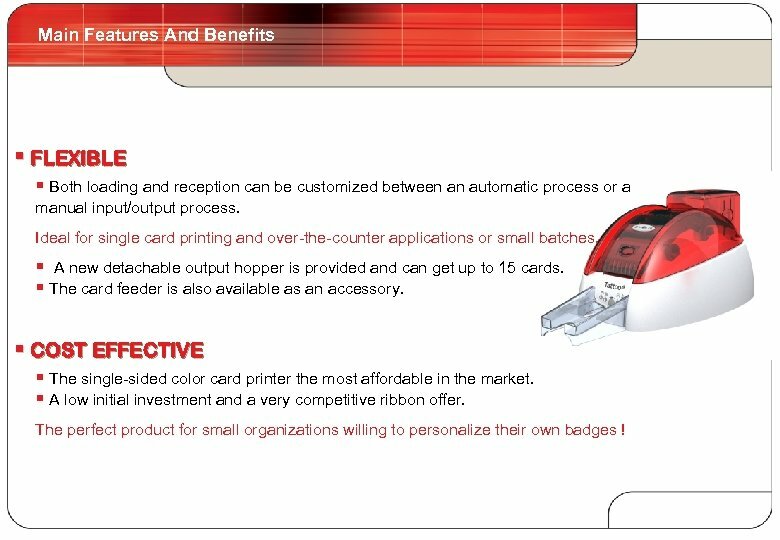 The perfect product for small organizations willing to personalize their own badges !